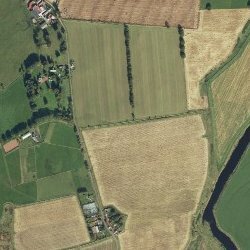 A habitation name from Covinton was first recorded in the late 12th Century in the Latin form Villa Colbani, "Colban's or Cowan's village", and 20 years later as Colbaynistun. The proprietor was a follower of David, Prince of Cumbria circa 1120. 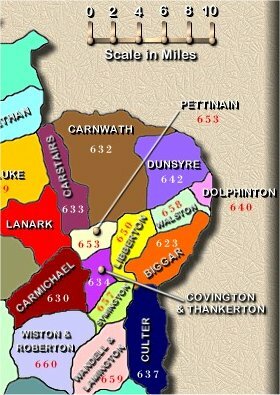 By 1434 the name had been collapsed to Cowantoun, and at the end of the 15th Century, it first appears in the form Covingtoun. It is, nevertheless clearly named with the personal name Colban, possibly derived to Coleman and the Old English "tun", enclosure or settlement. 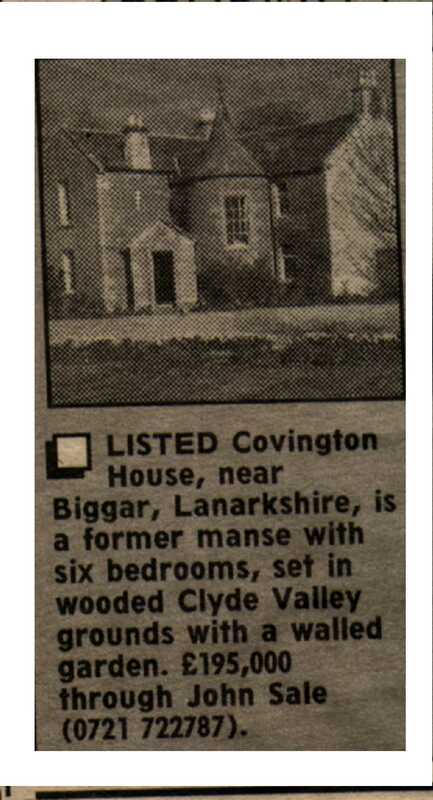 There could be association with Cobbinshaw or Cobinshaw (18 miles South West of Edinburgh) and Colinton (a village, now part of South West Edinburgh), both of which are in Midlothian. Covington has a castle ruin, situated 1 mile North East of Thankerton. The parish is of approx 5110 acres of which 2000 are arable, 80 acres woodland and plantation and the remainder being sheep pasture. The cattle are mainly of Angus breed and sheep are of the black faced kind. 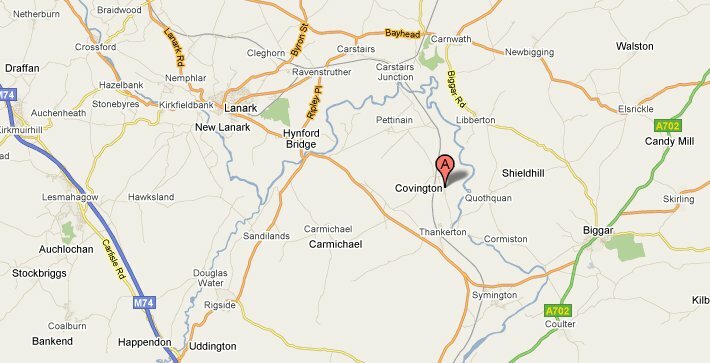 The parish of Covington and Thankerton is about 4 miles in length South to North and nearly 3 miles in average breadth. 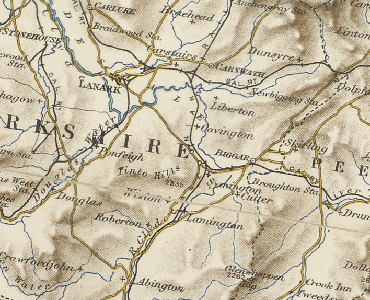 It is bounded to the East by the River Clyde, which separates it from the parish of Libberton. The ecclesiastical affairs of the parish are under the superintendence of the presbytery of Biggar and synod of Lothian and Tweedale. The church in Thankerton has been suffered to fall into ruins and that of Covington has been enlarged for the population of the whole parish, The parochial school is in the village of Covington, and in 1960 the master had a salary of £28, with a house and garden and the fees averaged about £16 per annum.